The above suggestions are meant only for reference to get you close to the well-suited exposure. Remember there is no precise photographic exposure setting because the northern lights vary considerably in brightness and stability. I’ve experienced a very glary aurora in the Kings Park about two years ago (check the GALLERY section). Normally, I will suggest do not expose longer than 1 minute because the northern lights stay no still, they move and sometimes move very fast. So if you exposed too long you will only get the pictures with the green sky. Now you know how to shoot the aurora borealis, but where and when you can see the northern lights? Well, first of all, make sure you are living in the high or middle latitudes. 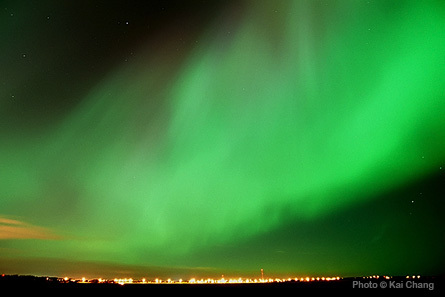 And then here are couple websites that you should follow; the aurora forecast site Space Weather predicts when the northern lights appear, but the accuracy is just like your local weather forecast (oh, I didn’t say anything). The K-index shows how strong is the geomagnetic storm in every three hours, and then check the Aurora Sentry see if your areas are covering in the visible auroral oval. That’s it! So next time when you see the northern lights, try to take some pictures. Not used to drink because I don’t really like the taste of beer. This was just a weekly assignment from a photo forum that I done a quick shot with my little Canon DC. As you can see the main light source is from bottom. I shouldn’t be lazy by using this tiny digital camera because it turned out a such bad quality. Just uploaded Alston family’s pictures in the GALLERY section. I was trying to do some photo effects onto the pictures, but after I processed couple photos I realized originals are the best, so I didn’t do any post processing to the pictures. Pretty lovely family and Izzy is so cute. 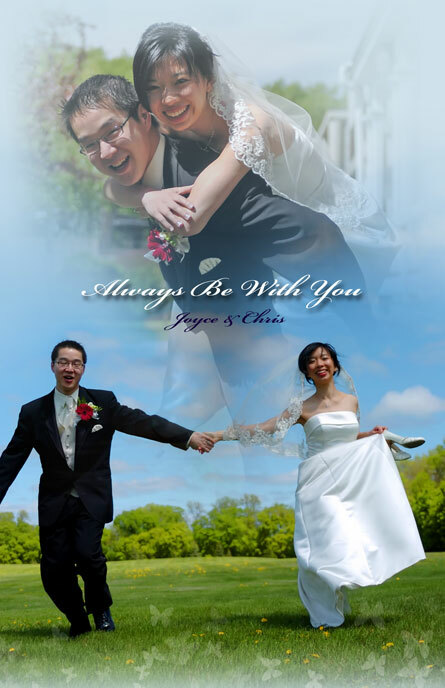 I finally processed all Joyce and Chris’s wedding photos, there are many pictures look really great, I am satisfied. I selected 28 images presenting in the GALLERY section, and I also designed three wedding posters for them as the present. They are going to Caribbean for honeymoon on Friday, hope they have a wonderful trip. First of all, congratulations to Joyce and Chris just married. I went out at 7:40am in the morning, and got back to home at 1:00am midnight. More than 16 working hours and went through all the process with bride, groom, bridesmaids, and groomsmen. Holding the heavy camera gears all day, I can’t barely raise my arms at the evening, but I still have to keep holding on it to get the job done perfectly. It was a pleasure to work with this new couple, and there are tones of pictures that we produced waiting for me to process. I just took a quick look some of those pictures and found there are many decent shots, quite satisfied. Doing wedding photo is an interesting job with a lot of pressure. You can’t screw it up because it cannot be redo or undo, and so I brought another camera body and couple rolls of film as the backup system, in case of digital system won’t work. This is the first time I worked on GarageBand with only laptop (no musical keyboard). It’s hard to input all notes with computer, but it makes thing possible if I wanna do this during my trip. The song “When You’re Gone” original by Avril Lavigne, and here is Kai’s version [When You’re Gone]. Any comments are welcome, oh , of course I lowered the pitch a bit to match guy’s tone. The camera sensor captures visible light as well as infrared light, so for taking the infrared pictures we need to attach a infrared filter on the front of the lens to block all visible light and only let infrared light pass through the lens. 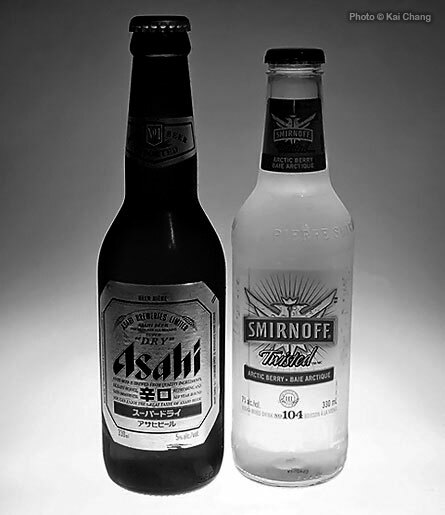 Most IR (infrared) technique was utilizing in landscape photos, rarely been used for portraits or weddings. It would be interesting that using IR to create this kind of sci-fi wedding scene.